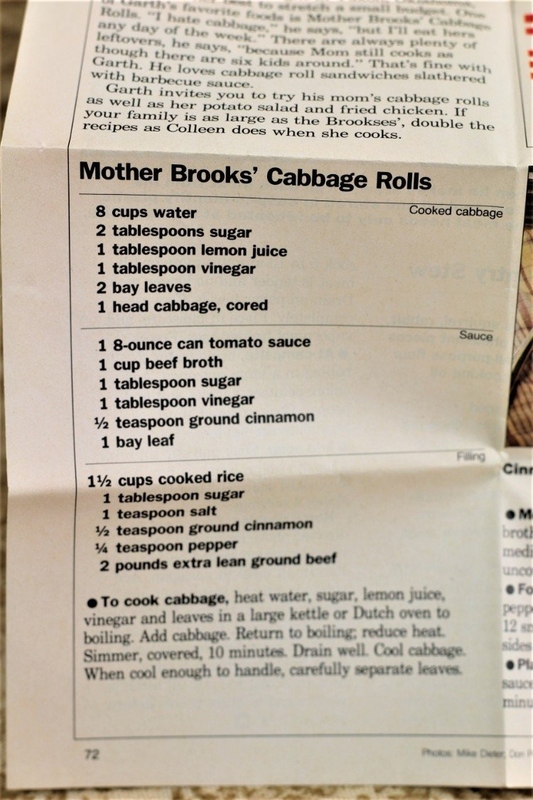 Front of the recipe card for Cabbage Rolls. Back of the recipe card for Cabbage Rolls. There is a notation that the recipe was published in Country America in May 1990. 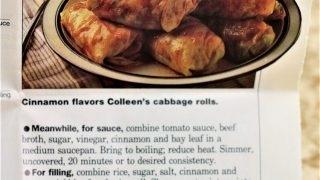 There are lots of fun recipes to read in the box this recipe for Cabbage Rolls was with. Use the links below to view other recipes similar to this Cabbage Rolls recipe. 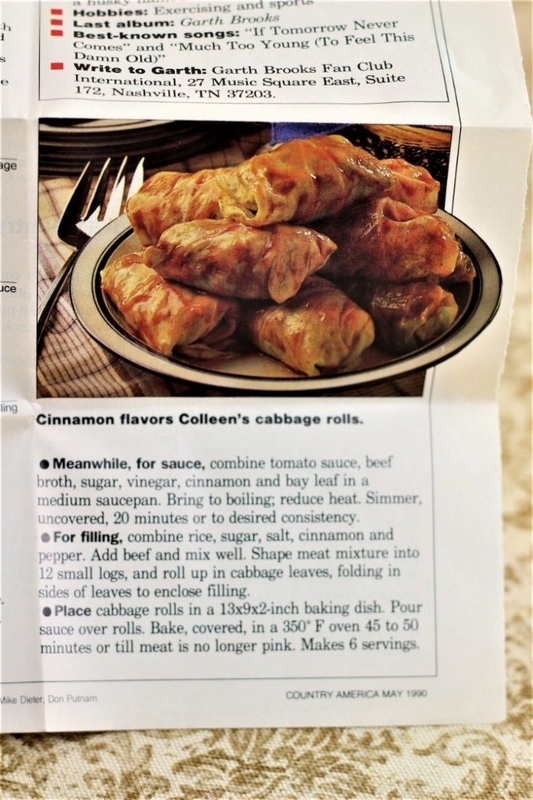 If you make this Cabbage Rolls recipe, please share your photos and comments below! To cook cabbage, heat water, sugar, lemon juice, vinegar and leaves in a large kettle or Dutch oven to boiling. Return to boiling; reduce heat. When cool enough to handle, carefully separate leaves. Meanwhile, for sauce, combine tomato sauce, beef broth, sugar, vinegar, cinnamon and bay leaf in a medium saucepan. Bring to boiling; reduce heat. Simmer, uncovered, 20 minutes or to desired consistency. For filling, combine rice, sugar, salt, cinnamon and pepper. Shape meat mixture into 12 small logs, and roll up in cabbage leaves, folding in sides of leaves to enclose filling. Place cabbage rolls in a 13x9x2-inch baking dish. Bake, covered, in a 350°F oven 45 to 50 minutes or till meat is no longer pink. Makes 6 servings.